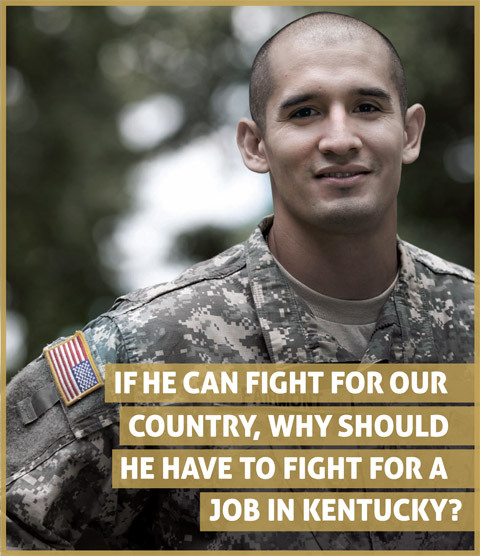 If He Can Fight For Our Country, Why Should He Have To Fight For A Job In Kentucky? Yes, yes, yes! You might not immediately think of gay rights when you think of Kentucky, but a recent survey found that over 83% of Kentuckians favor anti-discrimination laws protecting gays and lesbians in the workplace. Booya! The poll, conducted by the Fairness Coalition – composed of groups like the ACLU, the Kentucky Commission on Human Rights, and The Fairness Campaign – polled 600 Kentucky residents. The surprising results are up from a 65% approval rating for gay rights only 8 years ago. Coalition leaders said they hoped the results would prod state lawmakers to approve — or at least debate — two General Assembly bills that would add legal protections for gay and transgender people by amending the state’s civil rights laws. The results come as the coalition launches a campaign to highlight the findings in advance of a Feb. 23 rally at the State Capitol in Frankfort. The growing social acceptance, coupled with the high-profile repeal of the military’s “Don’t Ask, Don’t Tell” policy, could provide momentum lacking in years past, coalition leaders say. Progressive cities like Louisville, Lexington and Covington have already enacted local ordinances affording gays and lesbians with workplace protections. 2011 may be the year that lawmakers wise up to what Kentuckians already know – these protections should be offered statewide. 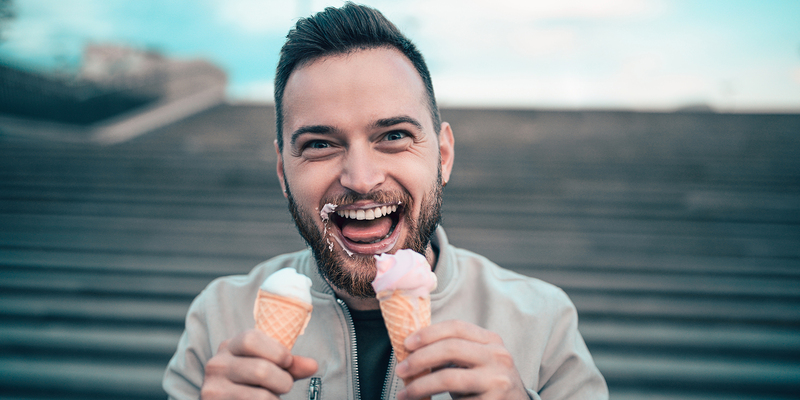 It found that 86 percent agreed that gays, lesbians and transgendered people should be able to apply for a job without being discriminated against based on sexual orientation. Ninety percent said gay couples should be able to visit their partner in the hospital. Eighty-three percent of Kentuckians believe that gay and transgender people should be protected from discrimination in jobs and housing. And 87 percent said gays should be protected from school bullying based on sexual orientation or gender identity. While only 70 percent of those surveyed said gay and lesbian couples deserved the same legal protections as other people, the percentage was higher than in 2004 when 63 percent supported it, Hartman said. Wow! We’re completely surprised by these statistics. The Blue Grass State has flown under the radar as a bastion of gay rights, as far as the voting public is concerned. It’s time for the state legislature to reflect what Kentuckians already know – Gays and lesbians deserve the very same rights as their straight peers. What do you think of these surprising statistics in Kentucky?